IGI is an industry leading provider of large scale, ultra high resolution systems for advanced visualization applications and commercial AV systems. These state-of-the-art solutions are the culmination of our vast industry experience in delivering leading-edge technologies and our unwavering commitment to reliability, quality and attentive service. Creating mission-critical value for corporations and organizations in conducting their core operations, our systems are ideally suited for high demand applications such as automotive engineering and design, military collaboration and intelligence, oil and gas exploration, command and control room, feature film post-production and more. 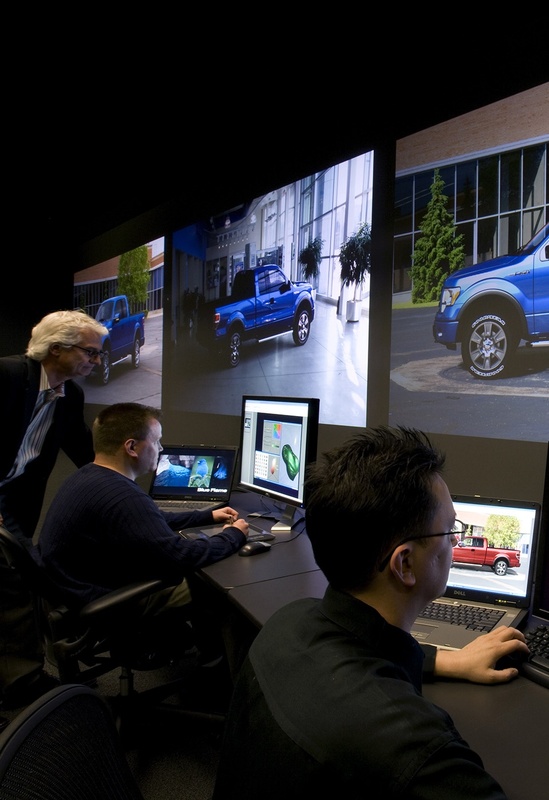 Since our founding in 1998, we have masterfully designed, built, installed and serviced some of the largest and most complex systems, including an award winning control room featuring a 120' wide screen which currently displays roughly 200 million pixels in a 24/7 operation, for dozens of forward-thinking customers nationwide. IGI is based in Commerce, Michigan near Detroit with engineering and sales offices in Indianapolis and Los Angeles.